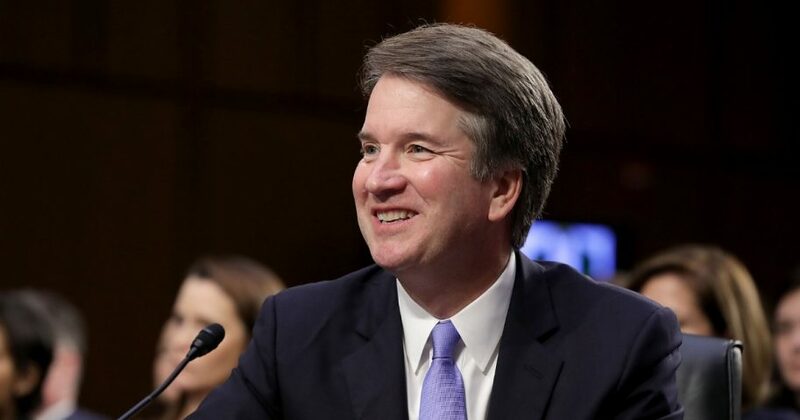 The Senate confirmation hearings of Brett Kavanaugh demonstrated not only the depths to which the Left has sunken in their commitment to obstruct the American political process, but primarily the effectiveness of the political establishment in creating the echo chamber that has normalized such behavior. Yes, it was reported that some of the people who verbally protested the confirmation hearings were paid. However, the sentiment of conscientious objectors to Kavanaugh’s nomination was rooted in pure delusion. Hysterical suppositions of women dying and America being returned to slavery as a result of a Kavanaugh confirmation exist only in a liberal echo chamber. Leftist opposition to the nominee sees his confirmation as if it would result in the complete nullification of the other eight justices on the court. Those of us living our lives in reality are well aware of the fact that a strict constitutionalist simply upholds the law as written. And, while a Kavanaugh appointment may shift the court more to the right, the country won’t cease to function because of it. Brett Kavanaugh’s confirmation does not represent a clear and present danger to our nation. And neither this Supreme Court pick, nor the actions of our commander in chief represent a national emergency — except to liberals trapped in an illusory paradigm where confirmation bias reigns supreme. Sanity is looking openly and honestly at objective information and reaching a conclusion based on the facts and merits of that information. What we have seen from Democrats throughout this process has been the complete opposite. Progressive “leaders” launched a highly successful campaign of fear-mongering and mudslinging, which led to lies that were regurgitated and repeated ad nauseum by others on the left in a dangerous game to see who could be the most outrageous. Have liberals disgraced themselves during the Kavanaugh hearings? Conservative voices urging pause and an accurate examination of the nominee’s record were shouted down. Once again, we were told we were supporting the bastardization of democracy and the expansion of white supremacy. We watched leftist politicians incite panic, telling their base that women would die and women’s rights would be inexorably returned to the Stone Age, even as the nominee himself was explaining his position on Roe v. Wade, stating that the precedent affirming it has been set. This is America. And in a free nation like ours, we all have the right to speak. But, we shouldn’t abuse that right to incite fear, panic and violence against ideological opponents. We also shouldn’t use our voice as a bully pulpit to prey on the most emotionally vulnerable among us to scare them into listening to one point of view, at the expense of opposing views. These campaigns of fear and demagoguery are dangerous to our republic and don’t serve the public interest. The tenor of productive political discourse in this country is in descent, while simultaneously violent rhetoric is on the rise. It should behoove all of us to reach inside of ourselves and re-examine what we believe and why we believe it. The chaos, disruption and vitriol displayed during the week of the confirmation process could have easily been avoided if opposition on the left were a little more thoughtful, discerning and balanced in their approach to evaluating information being fed to them — ironically, if they were just a little bit more like Brett Kavanaugh.